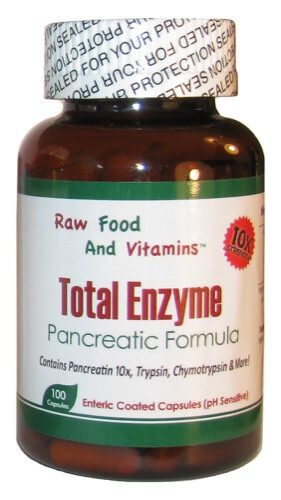 Total Enzyme is the most potent metabolic enzyme formula available ( replaced Megazyme Forte’ ). We have designed our product to include the most important enzymes to help your body thrive. 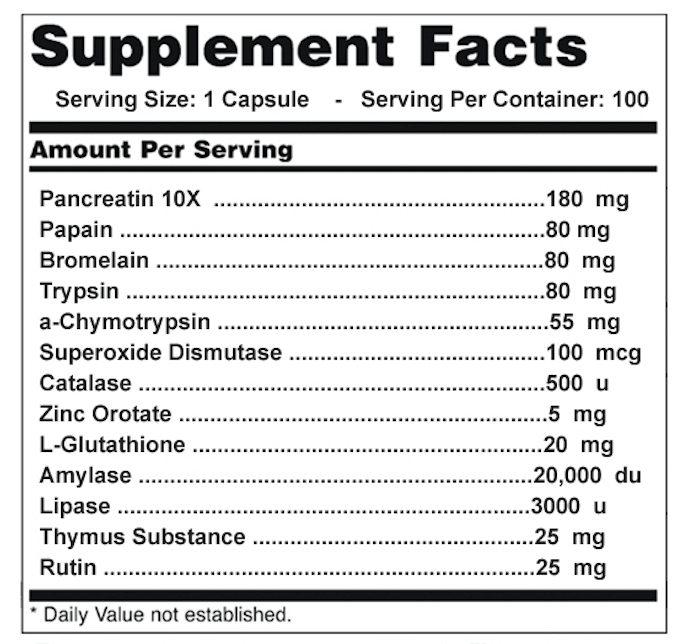 Each capsule contains over 13 different enzymes, including Pancreatin 10X, a-Chymotrypsin, Bromelain, Trypsin, Amylase, Rutin just to name a few, each having its own purpose. Enzymes help to break down or convert all kinds of different things in our body. For example if you eat a piece of meat an enzyme named Proteases would go to work and help break down the peptide bonds so your body can use its nutrients. There are many different types of enzymes each with their own specific purpose. Everything from converting fats, sugars, proteins and starches just to name a few. Your body can produce some enzymes while other enzymes are found in foods. Almost all metabolic processes of cells need enzymes to sustain life. Why Are Serving Sizes So Complicated? When you start looking at serving sizes on enzyme supplements you can quickly get confused. There are a few things that can help you decipher the labels you read. The first thing to know is enzymes are not only measured in their weight but also their potency. The lowest being 1x while 10x is the highest potency. In addition to potency there is serving size and mg’s. Many times companies can make ‘Amount Per Serving’ confusing by labeling a serving size as 2, 4 or even 6 capsules per serving. Our serving size is based on 1 capsules so it’s easy to know exactly how much you are getting per serving. As a dietary supplement, take up to 6 capsules per day with a meal unless otherwise instructed.